Weird but Tasty Food Combinations? I remember as a kid getting harassed for putting mustard on my tuna fish sandwich from the school lunch. I can also remember my father getting me to drink milk by putting Coke in it. I enjoyed both thoroughly as a kid but now wouldn't consume either. This is not because I look down on them but as a vegetarian, the tuna fish is out (yes--it's meat) and that the combination of Coke and milk sounds way too sweet a drink for me to actually enjoy (but clearly explains my early established and still present sweet tooth). But that has me thinking about food culture and the defaults that food culture directs us toward (tortialla chips and salsa; . I grew up on peanut butter and jelly as well as fluffernutters. I would even go so far as to do jelly and fluff. But peanut butter and pickles never crossed my mind. Pickles were to have with sandwiches that included meat or cheese or other stuff. That is, we learn or are trained to pair and connect certain food groups but not others and that establishes our food choices. So I'm looking for some new ideas and to break out of the mold of my traditional food pairings. To that, I challenge readers to provide (in the comments below) unique and interesting food combinations. Food pairings that we don't culturally associate going together but in your experience, you find particularly tasty. I'm looking for a curious array of food pairings that might inspire me to think about certain foods differently. So give me your best! 1. Vegetarian-based combinations (I don't eat meat; but I will do dairy & eggs). 2. Be clear with the recipe/food pairing but the recipe/food pairing shouldn't be too complicated. If you're beyond 5 steps, you'll probably lose me. 3. They must be submitted to the comments box in this post. Depending on how many recipes/food pairings I get, I'll either return with a poll for people to vote for the top 5-10. Regardless, I will follow up with a post after having tried the different combinations, along with pictures and commentary. Too bad chicken and waffles are out. How about the Belgian/Dutch treat of fries with mayo? That is one that I have actually tried (in fact, I tried it when I was in either Belgium or the Netherlands). Straight mayonaise wasn't that impressive but when they added curry to the mayonaise...I was a happy camper! How about figs with blue cheese? You can leave off the prosciutto. 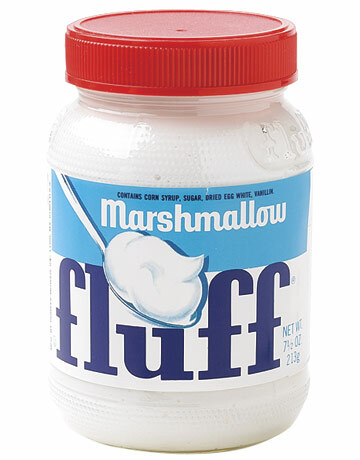 (I'm thinking of bizarre combos that are actually popular, like Fluffernutters.) I did not think I'd like that but, boy, yum. Apple pie with extra sharp cheddar cheese on top. Way better than a la mode. 1. Peanut butter and banana sandwiches.